Gaja wreaks havoc in T.N. Emission tests fudge: green tribunal asks Volkswagen to deposit Rs. 100 cr. Andhra Pradesh withdrew the ‘general consent’ granted to the Central Bureau of Investigation (CBI), effectively curtailing the agency’s powers in the State. Sources in the State Home Ministry said the general consent was routinely given for periods ranging from six months to a year for several years now. The last such consent was given on August 3, 2018.
decided to withdraw this consent through a notification (GOMs no. 176, Home Department) issued on November 8, 2018. Deputy Chief Minister N. Chinarajappa, who also holds the Home portfolio, said the withdrawal of general consent was in tune with the suggestions made by legal experts and intellectuals in the light of serious allegations against the CBI. Shortly after Andhra Pradesh’s decision, the Trinamool Congress-led West Bengal government also decided to withdraw the ‘general consent,’. Asked if there was a precedent of a State government taking back consent, Mr. Chinarajappa cited the example of Karnataka in 1998. Law and order being a State subject necessitated any Central investigation agency taking prior consent. “The CVC findings can be divided into four categories. It is very complimentary on some charges (against Mr. Verma), not so complimentary on some charges, very uncomplimentary on some charges and requires further inquiry into some charges. The report is exhaustive with documents,” Chief Justice of India Ranjan Gogoi summed up the CVC report to senior advocate Fali Nariman, appearing for Mr. Verma. The Bench, comprising Justices S.K. Kaul and K.M. Joseph, directed the registry to provide Mr. Verma, through his lawyers, a sealed copy of the report. Mr. Verma should file his response in a sealed cover by 1 p.m. on 19 November 2018. “First, we want to be sure of the facts, then we will do what is necessary,” the CJIsaid. The Bench said it insisted on keeping the CVC report confidential in order to preserve the sanctity and public confidence in the CBI. The court specified that neither the Centre nor any “other party” need to file replies to the CVC report. The court refused to give a copy of the CVC report to CBI Special Director R.K. Asthana despite loud protests from his lawyer, senior advocate Mukul Rohatgi. Rohatgi said his client was entitled to a copy. It was Mr. Asthana’s complaint to the Cabinet Secretary against Mr. Verma that triggered the CVC inquiry, Mr. Rohatgi claimed. The Cabinet Secretary had written to the CVC on August 24, 2018. In its October 23 order displacing Mr. Verma, the CVC had said the allegations against him were “serious in nature having prima facie vigilance angle”. “On whose authority did you complain to the Cabinet Secretary? We will not give the copy to you,” Chief Justice Gogoi addressed Mr. Rohatgi. Asthana, who had a running feud with Mr. Verma, is currently under investigation for corruption. At least 13 persons died and public infrastructure and private properties in seven districts were damaged as Cyclone Gaja wreaked havoc in Tamil Nadu on 16 November 2018. The cyclone later entered Kerala as a depression. Thousands of people attempting to march towards the Assam Secretariat against the proposed Citizenship (Amendment) Bill, 2016, were halted by the security forces. People from 70 organisations were part of the march held as part of their ‘Janata Bhawan Gherao’ programme. All Minority Students Union president Ajijur Rahman said as per the Assam Accord of 1985, Hindus or Muslims from Bangladesh and Pakistan who came to the State after March 24, 1971, would have to leave. Retired Calcutta High Court judge Ashim Kumar Roy was appointed the new Lokayukta of West Bengal. The decision was taken at a meeting in the State Assembly where Speaker Biman Banerjee, Chief Minister Mamata Banerjee and Leader of the Opposition Abdul Mannan were present. Justice Roy, who will occupy the post for three years, will be the second Lokayukta of the State after Samaresh Banerjee, who had served in the post between 2006 and 2009. There has been no Lokayukta in the State since 2009. Earlier in 2018, the West Bengal Assembly had passed the Lokayukta (Amendment) Bill, 2018, keeping the Chief Minister out of its purview in matters relating to public order. The legislation, however, allows the Lokayukta to investigate matters relating to the CM on the remaining 58 subjects under the State List with the approval of two-third of the members of the Assembly present and voting; there are 59 subjects in the State List. Carnatic music maestro M. Krishna asserted his right to his unique form of activism – through his art – during his talk at the ongoing Tata Literature Live festival. According to Mr. Krishna everyone has the right to hate his opinions and disagree with him but abuse on social media and cancelling shows was not the way to disagree. “Humans are conditioned to have control, to have power, to establish hegemony. The power is later established by creating binaries. For example, if you are an environmentalist, you are anti-establishment; if you fight against discrimination on the basis of caste you are illiterate about Manusmriti; if you are a feminist, then you hate men,” said Mr. Krishna. The Railways are planning to establish medical colleges to offer postgraduate courses at 10 of its existing hospitals across India. The official said that the proposal had been cleared by the Railway Board and now, the Railways was in the process of getting permissions from the Medical Council of India (MCI). Currently, a total of 125 Railway hospitals, with a capacity of about 40,000 beds, offer primary, secondary as well as tertiary healthcare services to about 65 lakh beneficiaries. Earlier, the government-owned Coal India had proposed to establish medical as well as engineering colleges in mining areas. However, no progress was made on the proposal. India secured a legal victory in the U.K. as the High Court in London quashed a previous decision by a lower court to discharge alleged bookie Sanjeev Chawla, whom India had sought to extradite. The case will now return to the lower court for a new trial, after new assurances provided by India showed there was “no real risk that Mr. Chawla will be subjected to impermissible treatment in Tihar prisons,” said the judgment by Lord Justice Leggatt and Mr. Justice Dingemans at the Royal Courts of Justice. 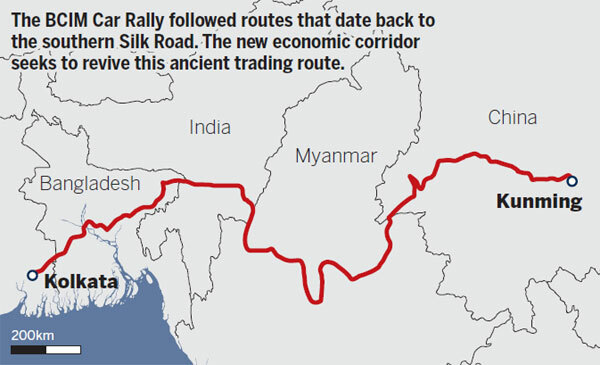 India’s Act East policy and China’s Belt and Road Initiative (One Belt One Road or OBOR) are a “natural” area of cooperation between the two countries, said China’s Ambassador to India Luo Zhaohui, making another pitch for India to join China’s mega-infrastructure corridor, which New Delhi has rejected thus far. 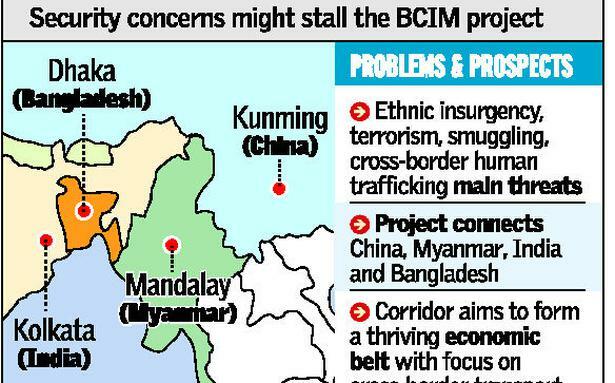 However, instead of the more contentious part of the Belt and Road Initiative, the China-Pakistan-Economic-Corridor that he has spoken of in the past, Mr. Luo suggested that the cooperation could come through the “China-India-Myanmar” BCIM corridor to India’s North-East. More than Rs. 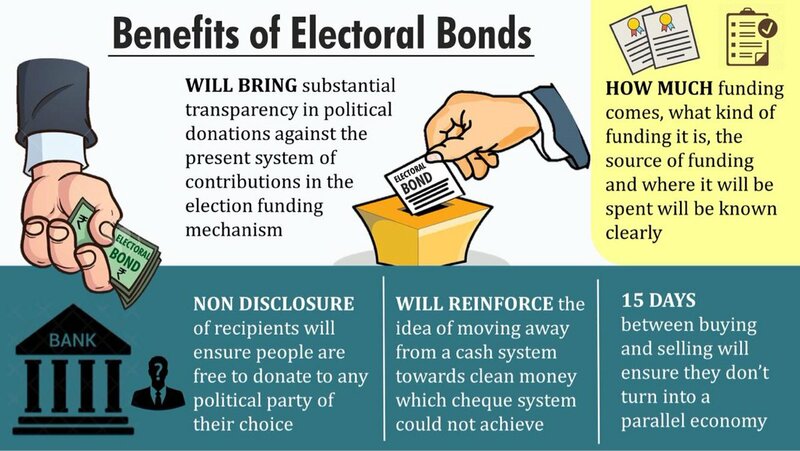 400 crore worth of electoral bonds were sold by the State Bank of India (SBI) in the 10-day window of October, a sharp rise from the Rs. 32 crore worth of bonds sold in the July tranche, according to data the bank released under the Right to Information. The electoral bond data assumes significance against the backdrop of the Assembly elections in Rajasthan, Madhya Pradesh, Chhattisgarh, Telangana and Mizoram. The RTI data, released in response to queries by Factly, also shows that there is next-to-no demand for electoral bonds of smaller denominations and the majority of the bonds sold were in the highest denomination of Rs. 1 crore. The data shows that Rs. 401.73 crore worth of bonds were sold by SBI in the October 1-10 window, the fifth tranche in which the bonds were available for sale. The data from all five tranches shows that barely any electoral bonds were sold in the smaller denominations of Rs. 1,000, Rs. 10,000, and Rs. 1 lakh. Within this, about 37.5% of the bonds (Rs. 150.7 crore worth) were sold in Mumbai, the highest share among the 11 cities where the bonds were for sale. The city with the second highest sales was Kolkata (Rs. 62.6 crore worth). Strong participation from retail investors by way of systematic investment plans (SIPs) led to the total assets under management (AUM) of mutual funds rise to Rs. 22.24 lakh crore in October — an increase of 0.87% compared with the previous month, as per an analysis by ICRA, the rating agency. Further, the AUM and the number of folios registered a year-on-year rise of 3.84% and 25.12%, respectively. However, folios in income and gold exchange traded fund (ETFs) categories declined. Interestingly, at a time when the Securities and Exchange Board of India (SEBI) is pushing mutual funds to encourage investments from beyond the metros and top towns, the share of smaller towns or B30 (beyond top 30 cities) accounted for 14.78% of the average AUM at the end of October. In May 2018, the share of B30 was pegged 13.83%. The government wants greater involvement in the RBI’s decision-making as it feels the current practice leaves it out on many critical issues such as single-day default turning a loan into an NPA, sources said ahead of the crucial board meeting of the central bank. To buttress its point, the government cites that quorum for some of the sub-committees is completed by the presence of the Governor and four Deputy Governors and not requiring any other directors to be present. However, the central board of the RBI is headed by the Governor and includes two government nominee directors and 11 independent directors. Currently, the central board has 18 members, with the provision of it going up to 21. The board will meet on 19 November 2018 where the government is expected to push for easing of norms for lending to the MSME sector, relaxing the Prompt Corrective Action (PCA) framework for weak banks and appropriate size of reserve to be maintained by the central bank, among others. The National Green Tribunal (NGT) directed automajor Volkswagen to deposit an interim amount of Rs. 100 crore with the Central Pollution Control Board (CPCB), following a plea that alleged that the company used “cheat devices” in emission tests in its diesel vehicles. A bench headed by NGT Chairperson Justice Adarsh Kumar Goel further constituted a committee comprising representatives from the Ministry of Environment, Forests and Climate Change, Ministry of Heavy Industries, Central Pollution Control Board and the Automotive Research Association of India, to estimate the quantum of environmental loss. The committee has been asked to submit a report to the tribunal within a month. 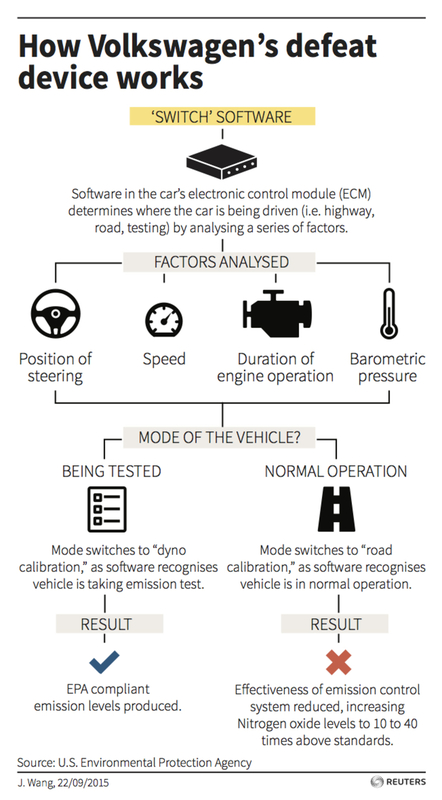 Earlier, the company had submitted a roadmap before the NGT to recall over 3.23 lakh vehicles in the country fitted with a “defeat device,” meant to manipulate emission tests. In a historic vote, nations unanimously approved new scientific definitions for the kilogram and other units. For more than a century, the kilogram had been defined as the mass of a cylinder of platinum-iridium alloy kept in a high-security vault in France. That artefact, nicknamed ‘Le Grand K,’ had been the world’s sole true kilogram since 1889. But now, the kilogram will be defined in terms of a tiny but unchanging value called the ‘Planck constant’. 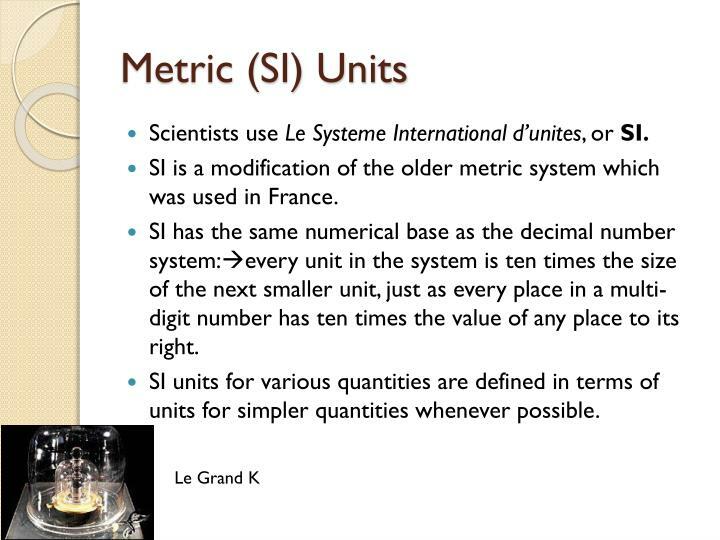 Nobel laureate William Phillips called the update “the greatest revolution in measurement since the French revolution,” which ushered in the metric system. Scientists also voted to update definitions for the ampere (electrical current), the kelvin (thermodynamic temperature) and the mole (amount of a substance).